The period 1650 to 1790 was such a turbulent one for Scottish seafarers that much of this fast-flowing narrative reads like Treasure Island. 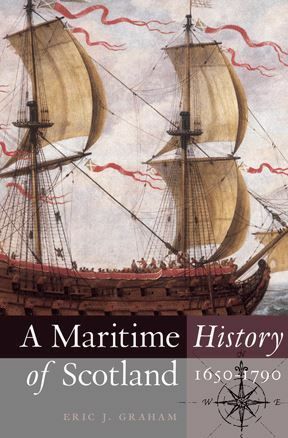 Eric Graham traces the development of the Scottish marine and its institutions during a formative period, when state intervention and warfare at sea in the pursuit of merchantilist goals largely determined the course of events. He charts Scotlands frustrated attempts to join England in the Atlantic economy and so secure her prosperity an often bitter relationship that culminated in the Darien Disaster. In the years that followed, maritime affairs were central to the move to embrace the full incorporating Act of 1707. After 1707, Scottish maritime aspirations flourished under the protection of the British Navigation Acts and the windfalls of the endemic warfare at sea.